September, it does it to me every time. As much as I try to be organised, get on top of the boys back to school routine, my heart is still firmly in the freedom of summer. I can’t help it. And yes I have bought a life planner, but it’s no use. I want to float around meadows in frocks, placing flowers in my hair. But instead I am knee deep in school uniform, alarm clocks and homework. *sigh* why haven’t I home educated. So this is September. A totally unrelated image, but a sense of calm on my bedroom mantel. Are you fighting the urge to run? Joining in with Katy and Lottie’s styling the season collaboration project. Which is now celebrating it’s first birthday! Happy Birthday! :) If you’d like to play along all you need to do is style a surface in your home to represent what that month means to you. 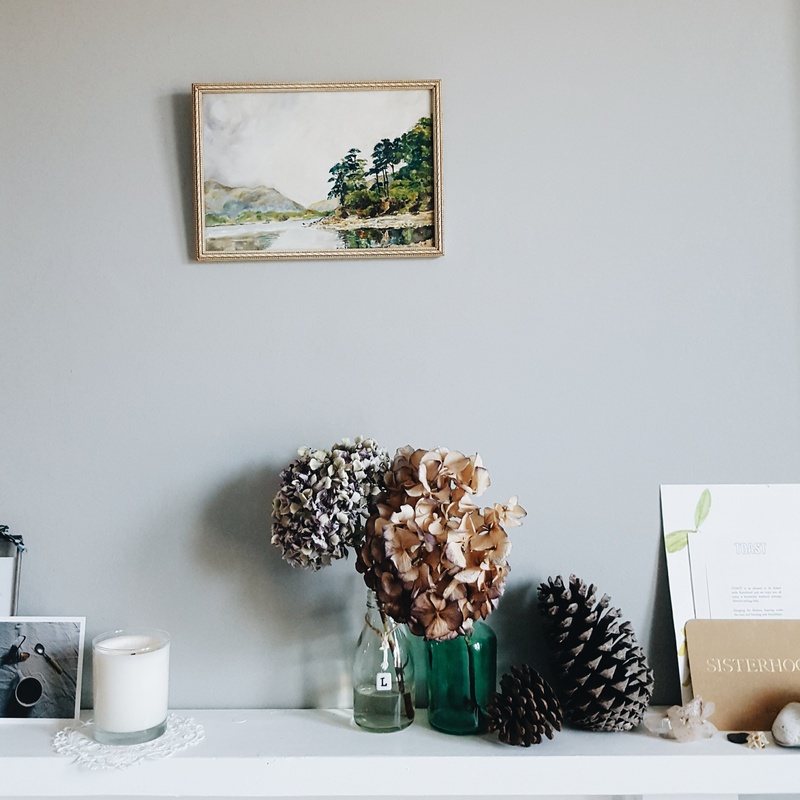 Share a shot of your styled surface and use the hashtag #stylingtheseasons. You can see all my past months here. I have the opposite problem Lou! As soon as the summer draws to an end I get desperate to get back to feeling organised and on top of things again. And it feels so good! But then I start guiltily thinking I should throw caution to the wind a bit more and play with the kids or take a long walk for the fun of it, instead of getting excited about finally hitting the end of my unread emails. If only they could clone the perfect person from the two of us!